The Agropolis Fondation Louis Malassis International Scientific Prize is given once every two years. It aims to recognize individuals for their exemplary and promising contribution in promoting innovation through research, development and/or capacity building in order to improve food and agricultural systems sustainability as well as to address food security and poverty reduction. 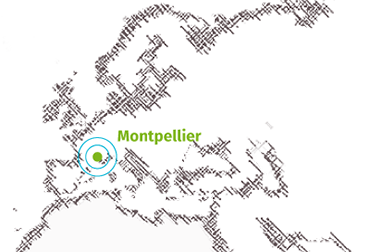 The Prize was created as a tribute to Louis Malassis, an ardent supporter of farmers’ cause, and founder of the Agropolis scientific cluster in Montpellier. The 2017 Agropolis Louis Malassis International Scientific Prize for Agriculture and Food is awarded to Dr. Bina Agarwal (University of Manchester, UK) in the Outstanding Career in Agricultural Development category ; Dr. Paul Gepts (University of California –Davis) in the Distinguished Scientist category and Dr. Elena Poverenov (The Volcani Center, Israel) in the Young Promising Scientist category. The winners will receive their certificate and prize of €20,000 each. The 2017 Olam Prize for Innovation in Food Security, has been awarded in parallel to the project Adapting durum wheat varieties to the Senegal Basin for food security led by Dr. Filippo Maria Youssef Bassi (International Center for Agricultural Research in the Dry Areas – ICARDA). The winning research project receives US$50,000 funding to support its further development. The winners of both Prizes will join a roundtable discussion during the 8th International Forum on Food and Nutrition on 4-5 December in Milan, Italy. “This Prize means a great deal to me, since it is an award for my work on agriculture and farming. In a fast urbanizing world we tend to forget how important agriculture and farmers are for our food security, for sustainable livelihoods, and simply as a way of life. That this prize is from a French foundation holds great value for me. Few developed countries care as much about agriculture as France does, and very few countries globally have such a long tradition of institutional innovations in agriculture” says Dr. Bina Agarwal, Professor of Development Economics and Environment at the University of Manchester (UK). 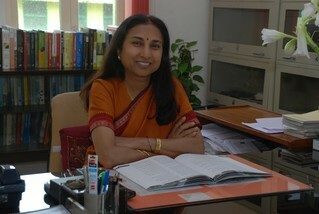 She was a former director and Professor of the Institute of Economic Growth, Delhi (India). An expert on land rights, food security and gender, Dr. Agarwal has written extensively on these topics and has contributed in putting in the public debate and giving visibility to women’s access to land as a priority issue on gender equality. “I have been guided by many mentors who are outstanding scholars throughout my career. I have also worked with excellent colleagues, and especially to advise topnotch students, who themselves are now entering the field of research and teaching. I come from an urbanized family in Belgium with limited contact with agriculture. I felt that the studies of ingénieur agronome had the right combination of basic biological sciences and applications of biology to everyday problems, such as food security and biological conservation. Since my initial studies, I have had the opportunity to broaden my horizons considerably, not only geographically but also scientifically. This prize is a recognition that I have chosen the right path” says Dr. Paul Gepts. 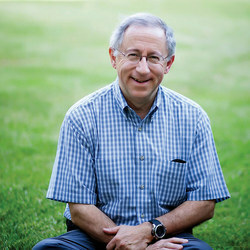 A distinguished professor at the University of California-Davis, Dr. Gepts’ work on crop biodiversity is based on the premise that if biodiversity is to be conserved and utilized, there is a need to understand its organization and the factors that have shaped it. For crops, this means that we have to understand the evolution of the wild progenitor, the process of domestication, and changes after domestication, including plant breeding. “My research goal is to develop safe, effective and sustainable approaches to enhance quality and safety of agricultural products after harvest and avoid food losses during their delivery, storage and processing. 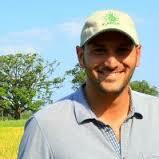 My work allows me to fulfill my passion and to enhance my knowledge for the benefit of agriculture and food. This Prize will help me advance the implementation of green chemistry in this field of agriculture and will contribute in strengthening my research group, thereby allowing me to attract excellent students from my country and around the world” says Dr. Elena Poverenov. 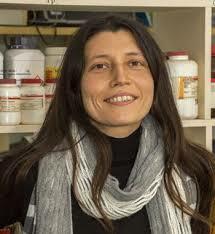 As a material scientist, she has developed edible coatings and controlled release systems based on natural polymers that minimize the physiological and microbial damage of perishable produce, successfully prolonging their shelf life. Such systems lead to lowering cost and enhancing safety of human health and sustainability. The Olam Prize recognizes an innovative scientific research project for its potential impact on the availability, affordability, accessibility and adequacy of food. “This prize is a recognition of the hard work carried out with partners in Mauritania and Senegal in the last four years, under conditions that haven’t always been easy. It is also a recognition of the somewhat crazy vision that we had five years ago to grow durum wheat at 40°C in the Savannah along the Senegal River” says Dr. Bassi. The winner of the 2017 Olam Prize added that many were dubious of this idea until the Swedish Research Council invested in it. An independent jury composed of internationally recognized individuals is appointed by the Chairman of the Board of Agropolis Fondation. This group deliberated and selected the winner in both Prizes. This year’s jury was chaired by Dr. Guido Gryseels, Director-General of the Royal Museum for Central Africa.